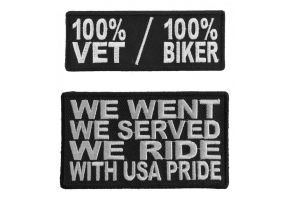 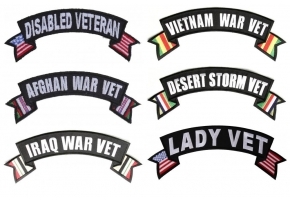 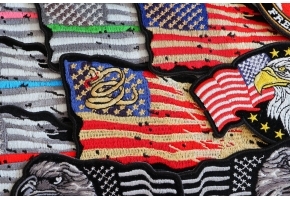 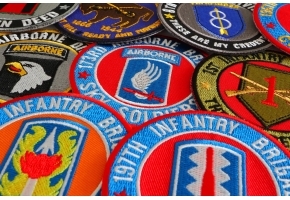 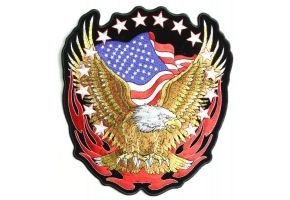 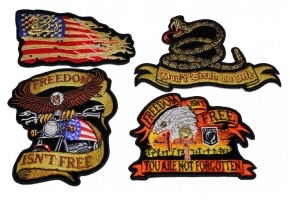 The Land of the Free because of the Brave patch is embroidered and measures 9.75x10 inches. 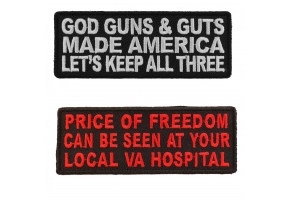 You can sew it or iron it on. 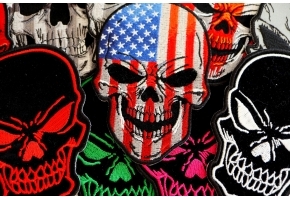 This one features a skull with an Army helmet over his head and the message is quite clear. 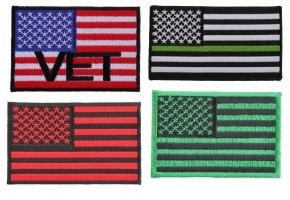 American flag theme colors have been used over the background as well. 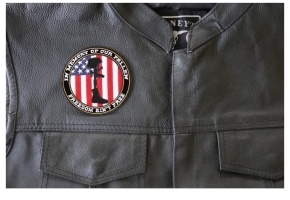 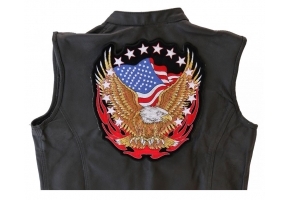 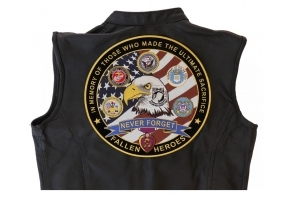 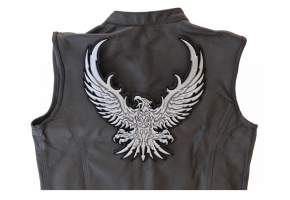 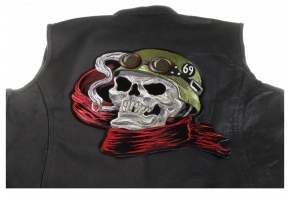 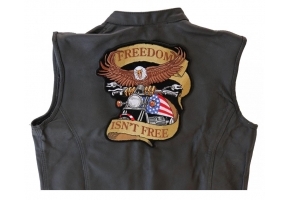 Here is the way it looks on the back of a leather vest. 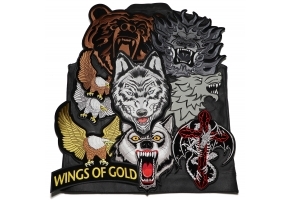 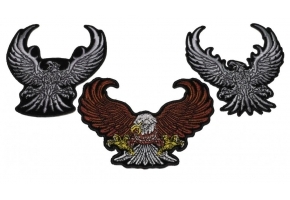 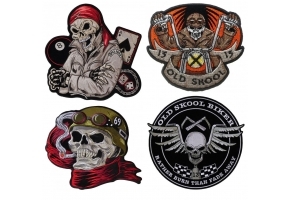 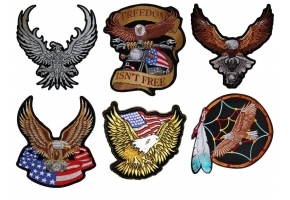 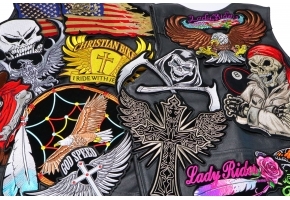 I have all my large patches photographed over a leather vest to give you a better understanding of the sizes before you place your order.